One need look no further for one-of-a-kind home designs than South Carolina’s Wolf Construction, an excellent home contractor in the Aiken area. 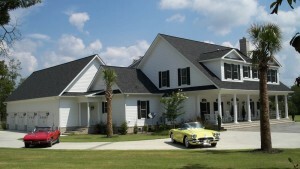 Our company is the best Aiken home contractor for your project, whether it be a pre-designed house plan or collaborating with our team to come up with your unique home. With our outstanding customer service, design resources and commitment to excellence through construction’s best practices, we craft the vision for your special home into a reality. From your first Aiken home contractor building experience, to the home you will retire in, we are commited to a long term and beneficial relationship. Our company’s projects include a combination of one-of-a-kind design elements, timeless features and the newest trends to produce the best that an Aiken home contractor can offer to their clients. We can construct your home in a golf or equestrian community or in other excellent Aiken neighborhoods; the choice is yours! Our neighborhood building sites include Three Runs Plantation, Mount Vintage and Cedar Creek. We cannot wait to share our showroom with you. To experience the best customer service an Aiken home contractor can provide call us via phone (803-649-1711) or email us.